One of the most important calculations of Indian history has been done on the basis of the lifetime of a certain Indian emperor called Ashoka, considered to be one of the greatest emperors of world history. He was a Buddhist emperor who was responsible for the spread of Buddhism, to distant corners of India and the neighboring countries, by sending large number of Buddhist missionaries to these places. Ashoka built thousands of Buddhist stupas and established thousands of Buddhist monasteries all over his empire that stretched from Iran to Bandladesh and from Central Asia (Afghanistan) to South India. A large number of rocks and pillars, present all over his empire, have been inscribed with his edicts and promulgations to his subjects, written in Magadhi, Sanskrit, Greek, and Aramic languages. Ashoka [depicted on right] was initially a cruel king who killed a large number of his brothers in order to ascend the throne. He inherited a large empire and tried to expand it by waging a war against the neighboring kingdom of Kalinga. He won the war, but the gruesome sight of thousands of mutilated dead bodies at the war completely changed his heart. He felt repentant about it, stopped his empire expanding spree, and converted to Buddhism after being attracted to the Buddhist principles of non-violence and renunciation. We have two sources to thank for much of this information on Ashoka ñ his rock edicts and Buddhist scriptures (one Indian and two Sri Lankan). The scriptures talk about Ashoka of Mauryan dynasty. 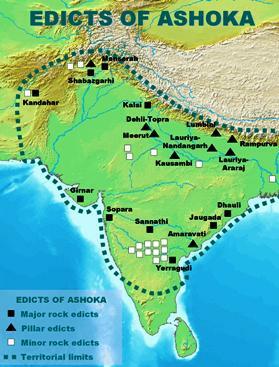 Mainstream historians are not much aware of Ashoka of the Gupta dynasty. As per them, there is only one Ashoka ñ Ashoka of the Mauryan dynasty, as given by the Buddhist scriptures. 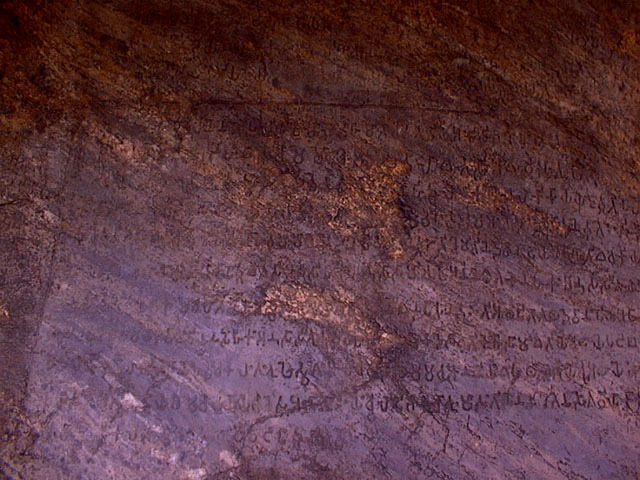 These Ashokaís rock edicts mention five neighboring Greek and Egyptian kings ñ Antiochos, Ptolemy (second), Antigonos, Magas, Alexander (second). Since these kings are dated to 250-300 BC, this has been the date arrived for Ashoka (Mauryan). As per the Buddhist scriptures, Ashoka (Mauryan) was crowned two hundred and eighteen years after the demise of the Buddha. This would mean that Buddhaís date is roughly 500 BC. And this date tallies perfectly with the date of 500 BC they arrived through the Aryan Invasion methodology. The calculations seem completely perfect and pretty straight forward, and mainstream historians have accepted these calculations completely for the last two hundred years. The most troubling aspect with these date calculations is that there are two Chandragupts and two Ashokas in Indian history. And as per the writings of Greek traveler Megasthenes, the Gupta dynasty was ruling India at about 300 BC. 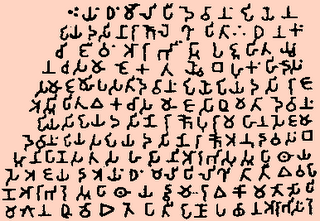 And these writings of Megashtenes tally with the Puranic calculations as well. And Indian history does not talk about two Chandragupts or two Ashokas ruling India at the same time. While traditional Indian and Greek sources talk about Ashoka of Gupta dynasty ruling India at about 300 BC, mainstream historians have arrived at the conclusion that Ashoka of Mauryan dynasty was ruling India at around 300 BC. So we either have to discard the writings of Megashtenes as well as Puranic sources completely, or we have to see if mainstream historians have got the date of Ashoka wrong. Several mainstream historians are not aware of this controversy. Even if they are aware, they dismiss Megasthenes as an unreliable writer and dismiss the Indian scriptures as pure mythology. They even easily shrug away the fact that other Greek accounts at the time of Megasthenes do not talk much about the presence of Buddhism in India. And almost all the mainstream historians are blissfully unaware of the presence of two Ashokas in Indian history. A handful of Indian historians are aware of this puzzle; they have suggested that the Ashoka of the Buddhist sources belongs to Gupta dynasty and he ruled India around 300 BC. However, the Buddhist scriptures clearly talk about the emperor Ashoka to be belonging to the Mauryan dynasty, completely negativating the arguments of the few handful Indian historians who try to wriggle out of the conundrum. This has been the biggest puzzle that has been haunting Indian historical calculations for more than a century, almost like a Sherlock Holmes and Hercules Poirot mystery. Does this mean that the mainstream historians are completely happy and are not at all puzzled by their calculations? The answer is, surprisingly, no; they are still quite puzzled over the most important things. The rock edicts of Ashoka mention that Ashoka converted to Buddhism because of the remorse he felt on account of Kalinga war. However, both the Indian as well as the Sri Lankan Buddhist scriptures differ with this; these scriptures do not talk anything about Kalinga war! They talk about Ashoka being converted by the serene teachings of a certain novice Buddhist monk Samudra/Nyagrodha15. Why are Buddhist scriptures silent about Kalinga war? While scriptures talk about 84,000 monasteries established by Ashoka, the edicts are silent on this; they do not mention any Buddhism related activities by Ashoka. The Buddhist scriptures talk about Ashokan missionary activities to Kashmir, Maharahtra, Sri Lanka, Burma, Thailand, Mysore, Himalayas, Western India, and Greek country. However, the edicts talk about medical help to his neighboring kingdoms; they talk about the names of the kings and dynasties around his empire including Choda, Pandya, Satiyaputra, Kerala, Sri Lanka, and five Greek kingdoms. The scriptures do not talk about officials called Dharma Mahamatras in his kingdom, as professed by the edicts. There are several other discrepancies as well in the basic details of his life. The Ashoka of Buddhist scriptures is an exceptionally devout individual who used to fall prostrate at the feet of even the lay Buddhist monks. 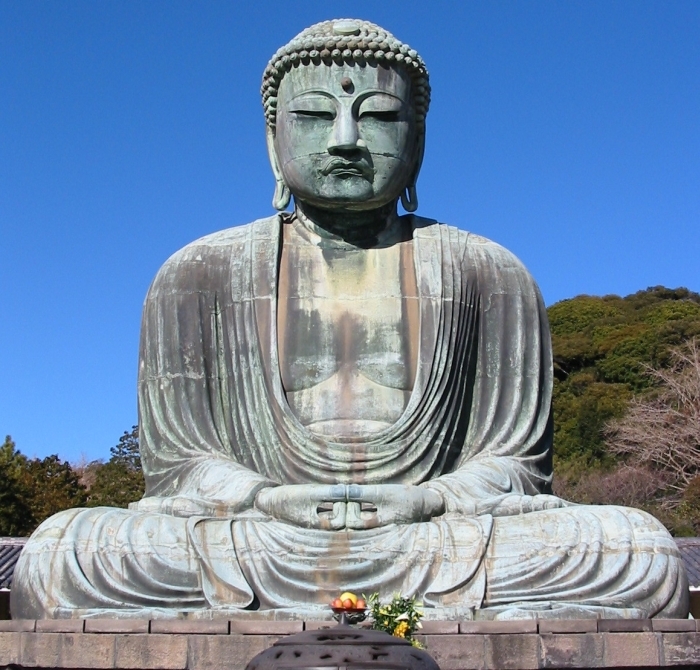 He was desparate to be known as the greatest of all donors to the faith of the Buddha. "Beloved-of-the-Gods, King Piyadasi (Ashoka), does not value gifts and honors as much as he values this - that there should be growth in the essentials of all religions. Growth in essentials can be done in different ways, but all of them have as their root restraint in speech, that is, not praising one's own religion, or condemning the religion of others without good cause. And if there is cause for criticism, it should be done in a mild way. But it is better to honor other religions for this reason. By so doing, one's own religion benefits, and so do other religions, while doing otherwise harms one's own religion and the religions of others. Whoever praises his own religion, due to excessive devotion, and condemns others with the thought 'Let me glorify my own religion,' only harms his own religion. Therefore contact (between religions) is good. One should listen to and respect the doctrines professed by others. 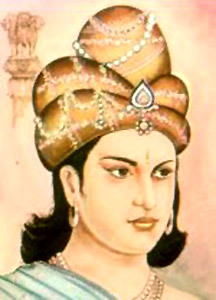 Beloved-of-the-Gods, King Piyadasi (Ashoka), desires that all should be well-learned in the good doctrines of other religions. Those who are content with their own religion should be told this: Beloved-of-the-Gods, King Piyadasi (Ashoka), does not value gifts and honors as much as he values that there should be growth in the essentials of all religions. And to this end many are working -- Dhamma Mahamatras, Mahamatras in charge of the women's quarters, officers in charge of outlying areas, and other such officers. And the fruit of this is that one's own religion grows and the Dhamma is illuminated also." Unable to explain these dichotomies, some mainstream historians have dismissed the Buddhist scriptures as unreliable; they go purely by the rock edicts to get a picture of Ashokan personality, while they rely on the Buddhist scriptures for historical aspects. We can see as to how selective they have been about the whole Ashokan episode -- they have dismissed Megasthenes as a liar, they have dismissed the Indian scriptures as pure mythology, they have shrugged off other Greek writings, and they finally have dismissed even the Buddhist scriptures! I think that they have a whole lot of answering to do about the Ashokan episode, even if they seem to currently think that their calculations are perfect. I think the whole confusion has arisen because there are two emperor Ashokas, and both are Buddhists! The Ashoka of Buddhist scriptures belongs to the Mauryan dynasty of 1500 BC. He was a compulsive individual, devout in his faith, and took steps to spread his religion far and wide by sending missionaries and constructing Buddhist monasteries and stupas. However, he had nothing to do with the edicts and the Kalinga war. The Buddhist scriptures are talking about Ashoka the Mauryan. The scriptures mostly talk about parts within India -- Kashmir, Maharahtra, Mysore, Himalayas, Western India. Buddhism was not yet spread in India by his time -- so the scriptures are clearly talking of the spread of Buddhism within India under Mauryan emperor Ashoka. The Ashoka of the edicts belongs to the Gupta dynasty of 300 BC. He was the one who was involved in Kalinga war. He felt remorseful and later converted to Buddhism. However, by his time, Buddhism was already spread far and wide and there was no need for him to send missionaries. Moreover, by his time, Buddhism was reeling under the onslaught of Sankarcharya and the Vedic religion was making a comeback. As we shall see a little later in this discussion, Buddhism was in a confused state about its ideology because of the theological attack launched by Sankaracharya. Buddhism was in a transition stage and it did not give much scope for missionary activites. So, Ashoka the Gupta was not hawkish about his religion, but was much more tolerant of all religions. And the places mentioned in his edicts are mostly his neighboring kingdoms -- the edicts are not talking about places within India. The places mentioned in the edicts are Choda, Pandya, Satiyaputra, Kerala, and Sri Lanka on the south of his empire in South India, and five Greek kingdoms to the northwest of his empire. The places mentioned are clearly not talking about spread of Buddhism within India. The two Ashokas are completely different. The confusion has arisen because both are Buddhists; so both the stupas and the edicts are being attributed to one and the same person. If we consider that the edicts belong to one emperor while the stupas and monasteries belong to another, the riddle is solved. The two Ashokas have been merged into one by historians. So if we arrive at the date of 1500 BC for the Buddhist Mauryan emperor Ashoka, as per the Buddhist scriptures, we can easily arrive at the date of the Buddha. Buddha precedes Ashoka by two hundred and eighteen years. So this would put Buddha at anywhere between 1700 BC and 1800 BC. This roughly tallies with the Puranic calculations as well, which put Buddha's date to around 1800-1900 BC. Source: Excepts from Prithviraj R's book on history -- 19000 YEARS OF WORLD HISTORY: The Story of Religon. He can be reached at prithvi.book@gmail.com. Left Brain:Right Brain We have two brains that don't always argee and sometimes fight for control. Can facial features shed light on which brain controls our thoughts? Great article by Dan Eden with photographic analysis of many popular figures. We're Not From Here! Recent evidence suggests that we are not part of the Milky Way but a dwarf galaxy being assimilated. Smallpox: The Weapon A review of what we know about this deadly virus. Is it gone? Really? How to read eyes! What do professional interrogators look for to see if you are telling a lie? Can anyone do this? Decorating with Feng Shui Nancy Uon gently introduces you to the basics and shows how to best arrange your living space. Handwriting Analysis What can be learned about you through your handwriting. Some famous mysteries are described and lessons are given. Money: what is it? This Dan Eden article starts with the history of money and describes the current economics that have resulted in the rapidly declining US Dollar. The Philadelphia Experiment Did the US Navy succeed in making the US Liberty invisible?